The projects showcase contains screenshots and information on some of the projects I completed. ooghuis Design & hosting of website ooghuis. 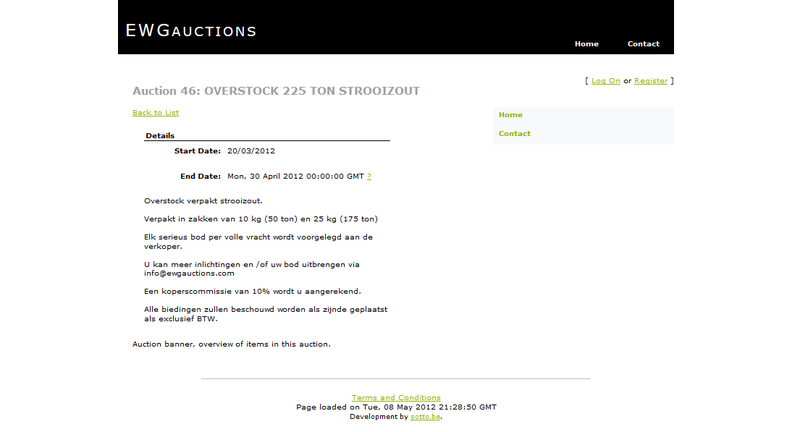 EWGauctions Development of a custom auction-website. ACDDesk .NET 2.0 windows smartclient application for the adminstration of my clients' customers, projects, their order management and invoicing. Léger-web-test Analysis and Development of the léger web test, a web-applicatoin for a sports federation. 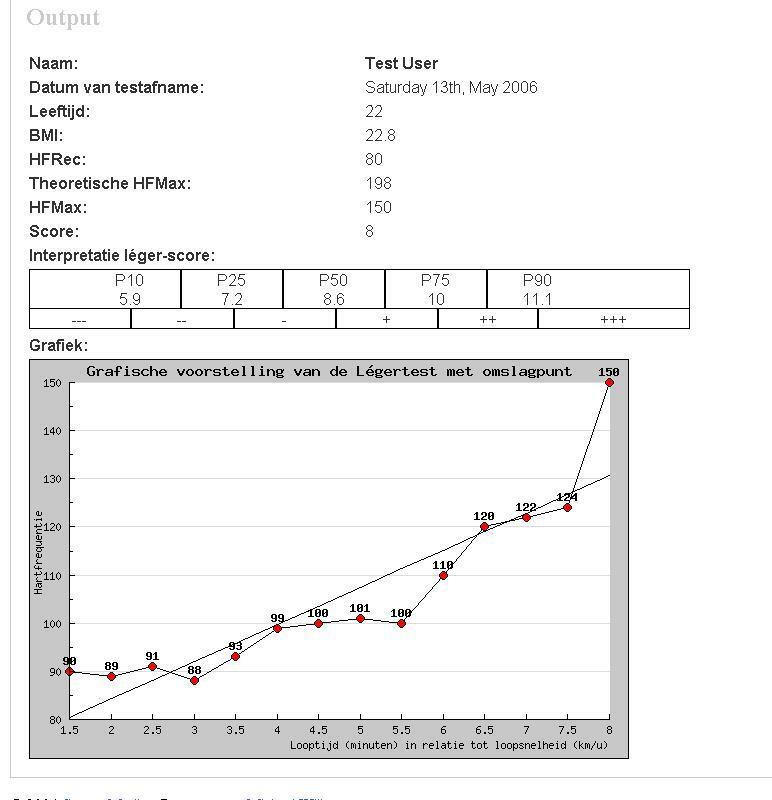 The application lets users enter their personal results of a Shuttle Run Test into a webform and shows a graphical output and an interpretation of the results. Harmoniewildert.be Design, development and maintenance of the site for the local musicians. Silantis.com Design and development of the former site of Silantis. 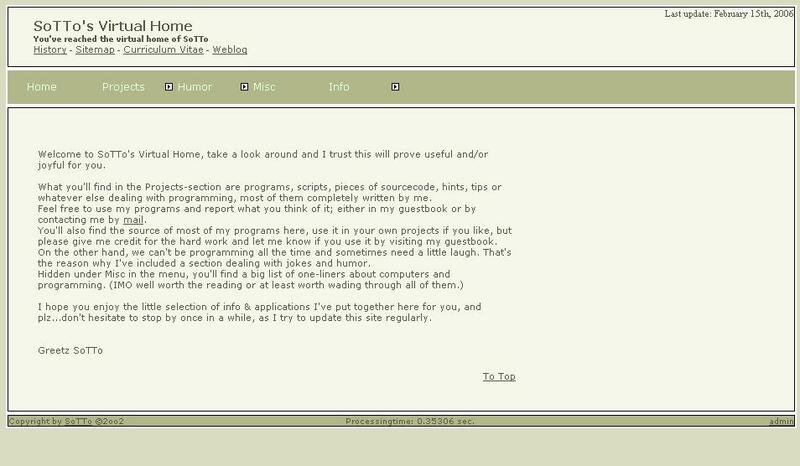 Sotto.be My previous -now abandoned- site was the first site I created using php and a database as a backend. 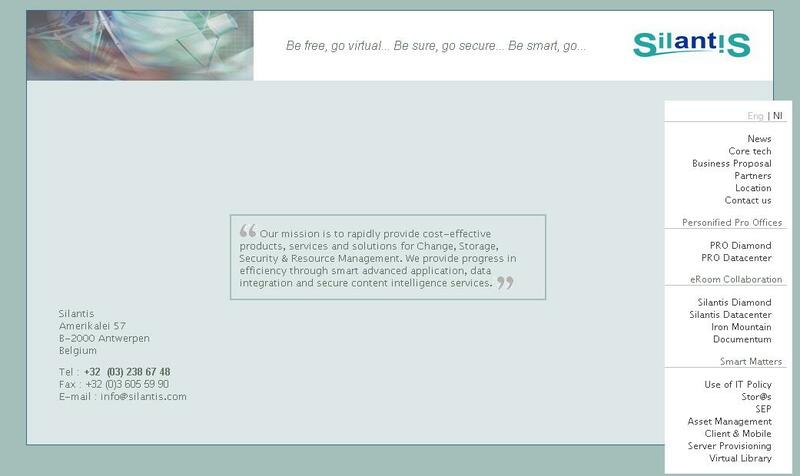 The site was maintainable online using its administration interface. Bezier curves During math-class we saw how to draw Bezier-curves. I implemented this in a simple java-applet. I have v4 & v5 online. Version 1 to 3 aren't online, those were developement versions, like one without the X & Y axes. Version 4 is a static applet, shows you a graph with predefined points. Version 5 lets the user define 4 points by clicking on the surface. Rightclicking the icon will let you add a note-it note to your desktop you can add as many notes as you want. To delete notes, make them visible (click on it in the rightclick menu on the icon) and rightclick on the "NoteIt"-label on the note and click "delete" -> "yes"
Your notes will stay into the registry, so if you close the program and restart...your notes will not be removed. Games In the early days of my programming-carreer I developed a few games. These aren't great examples of good code, but they were fun to create and are fun to play nontheless. This game is a clone of the game "MineSweeper" that comes with Microsoft Windows. The object is to locate all the mines as quickly as possible without uncovering any of them. If you uncover a mine, you loose the game. Rightclick a spot to mark it as a mine. If you're unsure about a spot, you can mark it as '?' by rightclicking it twice. Later on you can uncover it or mark it as a mine. SoTTris is a skinnable Tetris clone written in Visual Basic 6. 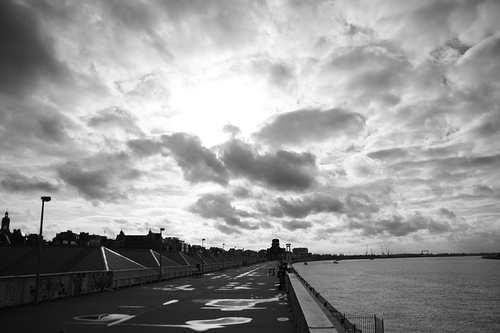 © sotto.be, 2006 All rights reserved.